But that's not all. It also has some new features for phones, too. 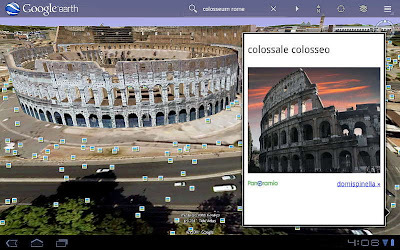 Like complete support for 3D-Buildings, fly to location, Places, Panoramio and Wikipedia. There is no special version for tablets. 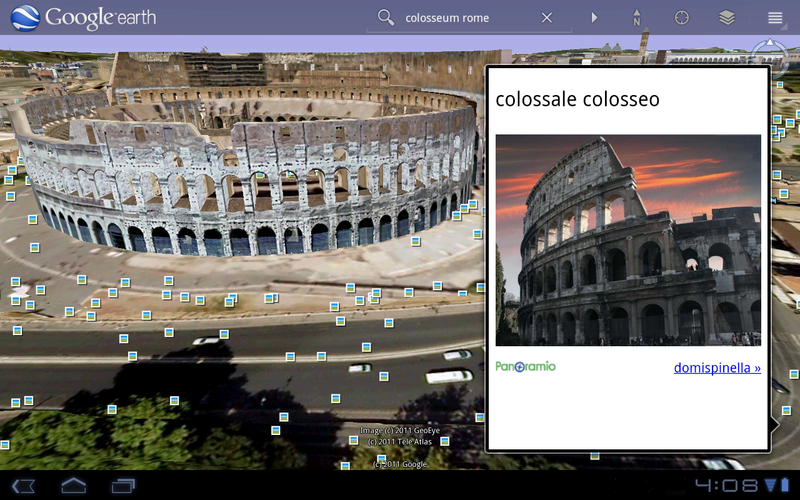 It's the same app, but it uses enhanced functions if invoked on a tablet. But, yeah but, that "tablet" term is defined by 3.0 Honeycomb or higher. So no luck for Galaxy Tab users (shame for Google). It works only in smartphone mode. Booh!